BLOODBOUND: "Metal Monster" tema adelanto del DVD/CD "One Night Of Blood"
BLOODBOUND: detalles de su nuevo disco "War Of Dragons"
Bloodbound acaban de anunciar el lanzamiento de su nuevo álbum de estudio titulado "War Of Dragons", que saldrá a la venta el 24 de febrero a través de AFM Records. "War Of Dragons" estará disponible en formato CD, 2-CD Digipak, vinilo edición limitada, y caja edición limitada. BLOODBOUND - NEW ALBUM AND TOUR IN 2017! Bloodbound to release "War Of Dragons" album in February / tour announced! 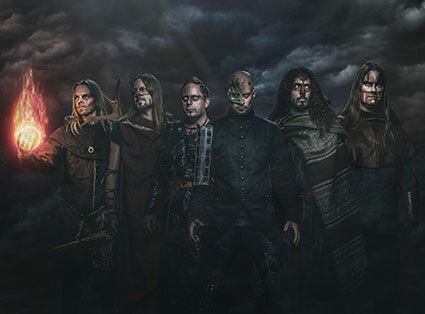 Swedish power metal masters BLOODBOUND have announced the arrival of their new studio album, titled "War Of Dragons" for February 24th. "War Of Dragons" follows the Live DVD/CD "One Night Of Blood" which was released in February (2016). During the past few years, BLOODBOUND have established themselves as one of the finest metal acts from their traditionally strong home country - having toured Europe with the likes of Sabaton and U.D.O.. All this experience now shows in "War Of Dragons", likely the band's most anthemic, bombastic and fast-paced album ever. "War Of Dragons" will be available as CD, 2-CD Digipak, ltd. Vinyl & ltd. Box Set. the band's first headlining tour is announced! Traditional heavy metal band (and AFM label mates) Crystal Viper as well as Thobbe Englund (ex-Sabaton) will complete the package. "In the past we have toured a lot as a support act to bands like Sabaton, Hammerfall and U.D.O.. We felt that the time was right to do our own tour now so we can give the fans a full concert, not just a short support set", BLOODBOUND's Fredrik Bergh says. "We wanted to have a great package of bands, so we invited our awesome label mates Crystal Viper to join us as co-headliners and as a very special guest we will bring our friend Thobbe Englund (ex-Sabaton) and his brand new killer band! 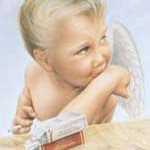 Thobbe will also join us as 2nd guitarist on this tour since Henrik Olsson is unable to perform." 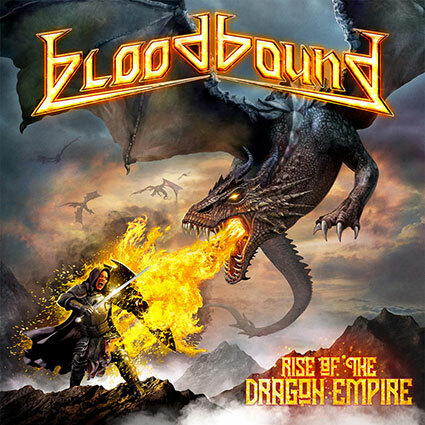 BLOODBOUND: nuevo tema "Stand And Fight"
BLOODBOUND: nuevo disco "Rise Of The Dragon Empire"
Bloodbound lanzará su nuevo disco "Rise Of The Dragon Empire" el 22 de marzo a través de AFM. Hoy como adelanto presentan el primer single "Slayer Of Kings" que podéis escuchar mas abajo. BLOODBOUND: nuevo tema "The Warlock's Trail"